Christy Myers is a top agent here at American Dream Realty in Gloucester County. She has a unique background that makes her a strong negotiator, fighting for the best deals for her clients. She is also a caring person, an attentive listener, and an amazing Agent! 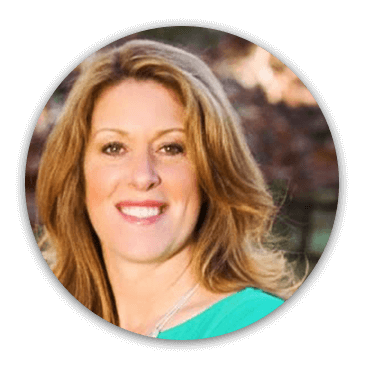 Christy’s background in managing events and conferences for over 23 years is key to her smooth transition into real estate. Utilizing skill-sets from her professional career, Christy understands the importance of excellent negotiation skills, contract and time management, attention to details and most important good communication skills. She prides herself on listening to her client’s needs and goals. Most importantly, Christy listens. She takes the time to understand what is truly important to each of her clients. Her unwavering commitment to excellence shows through her personal integrity, attention to detail, and sheer determination. Christy has lived in this community her entire life and enjoys being involved and giving back by participating in philanthropic events and local committees and clubs. As a member of the National Association of Realtors (NAR), Gloucester/Salem County Board of REALTORS (GSCBOR), and having earned her Accredited Buyer’s Representative (ABR) credential, Christy strives to provide the highest level of service to her clients. Christy looks forward to working to get you into a new home or helping you sell your current one! set up an appointment with this agent today! Meet our top notch team of helpful and friendly agents! Check out some of American Dream Realty's listings. If you can't find what you are looking for you can ALWAYS search! At American Dream Realty, Salem County, we pride ourselves on providing our clients, residential and commercial alike, with the best possible real estate experience. Being the #1 agency in our area doesn’t come easily; our brokers and agents live where they work so they are acutely attuned to the market and its ebbs and flows. We specialize in residential, commercial, rental and farm property listings. Come to us with all of your real estate needs and we’ll help you realize the American dream!